NEW Oculus Rift Virtual Reality Headset. 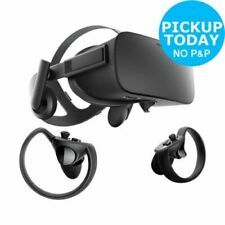 new Oculus rift DK-1 complete kit not when not opened. Drill Free Installation - USA INVENTORY - 20 Piece Kit! Trending at $54.99Trending price is based on prices over last 90 days. Super blanket (protection cover) for Oculus rift CV1. Hygiene is always on top!